I feel pretty confident saying nobody wants to spend more than they have to on a new septic system. So why install a new tank if there’s already one in place? While holding off on replacement may seem to be the frugal way to go, taking the time to install a new tank can make the most sense in the long run. 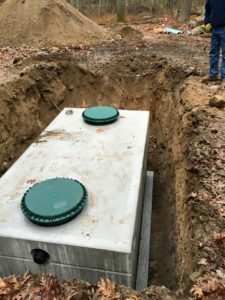 The gasses created in a septic tank deteriorate the concrete roof of the tank over time. This results in a thinner concrete roof and exposes the structural wire. Therefore weakening the structure which can result in cracks and possibly collapse. 2. The older tanks used concrete baffles to absorb the energy of the black water entering the tank and to keep solids from carrying over to the leach field. Just like the roof, these baffles are exposed to the deteriorating gasses. On most of the older tanks we look at, the baffles have fallen off. Failed baffles can result in solids carrying over to the leachfield therefore shortening its lifespan. The older tanks were single compartment. New tanks have two compartments. The first makes up 2/3 of the tank and is where the black water enters the tank. The solids stay in this side of the tank and the “clear” layer carries over to the second compartment. Here the effluent will lose some more of the total suspended solids before it makes its way to the leach field. The new tanks we install are water tight. This prevents the black water from entering the water table before treatment. More importantly it prevents ground water from entering the tank and overdosing the leach field. Tanks don’t last forever. Even if you don’t replace the tank now eventually you will have to. It’s going to be much more cost effective to do it while we are on site installing the leach field. It is much easier to replace the tank then as we will have all of our equipment ready to do the job. If you have questions about your tank and need some advice on the best option to take when it comes to replacement, contact Grenco, we will be happy to help you make the best decision for your situation. 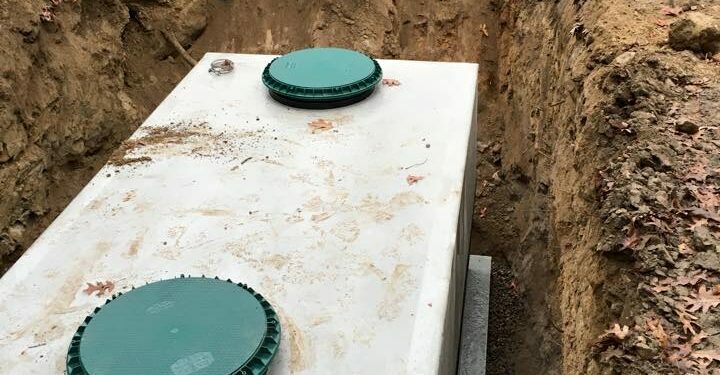 NextIs Your Septic System Ready For Winter?